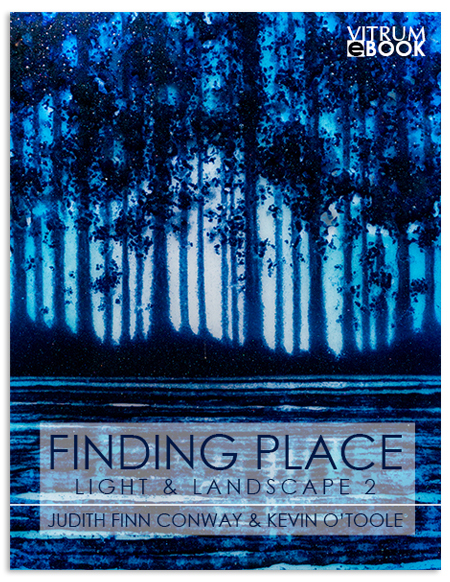 for realistic landscapes in glass. 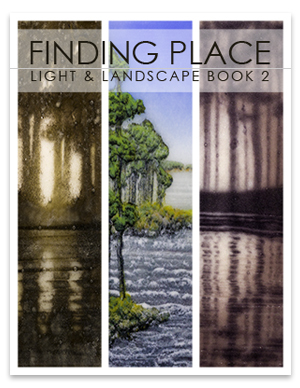 This Vitrum eBook , the second in our Finding: Place: Light & Landscape series, introduces you to new methods of creating glass landscapes with realistic imagery and amazing details, and shows you easy methods for adding highlights and shadows . With detailed step-by-step directions, photos, and diagrams, we show you the processes for making water samples, various color palettes, and easily-adaptable landscape projects , each using new and exciting techniques that are simple but very effective. 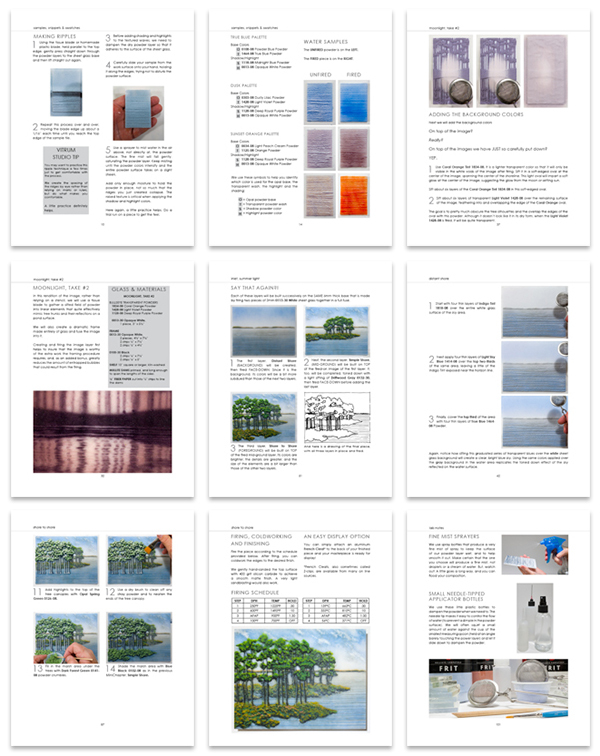 Suitable for all levels of experience, Light & Landscape Book 2 contains 105 pages of comprehensive instructions, over 250 photos and diagrams, and complete firing schedules for all the projects. It's a Vitrum-Quality class at a fraction of the cost....and you can refer back to ALL the course information any time you want! Our good friend, Paul Tarlow of Helios Glass in Austin, Texas, has agreed to handle the orders for our eBooks at FusedGlassBooks.com. Follow the link for more information on purchasing and immediate download.